Requesting Aid With Pictures! Cant find CC for edit! I currently Have the latest beta since the other links are canceled due to the broken one from pets so...anyway I've followed a couple of tutorials some with a more updated version and some with a completely different version...I shall screenshot since I'm terrible at explaining what I don't really understand. Anyway, The thing is I'm new and I'm wondering if I perhaps did something very simple to confuse the program. 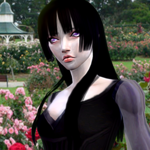 If so Please tell me what I might do to fix it...I very much want to make some Victorian CC and there are not many default meshes that would suit my recoloring purposes. 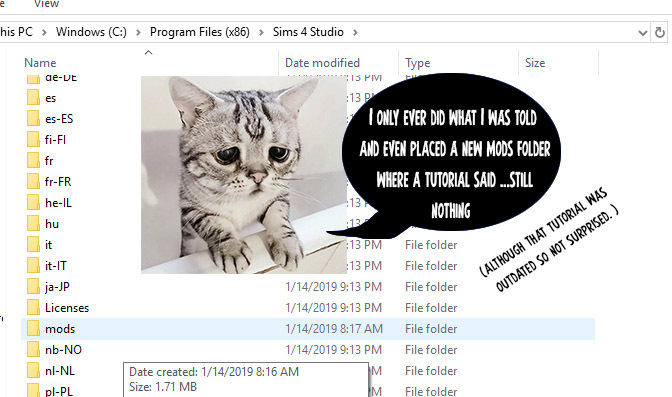 Also make sure to place them in your Sims 4 mods folder. Restart the program after doing it. Seriously Thank you!! for the quick response, It's my day off tomorrow and I've been looking forward to trying out this project your a life saver! You're welcome! You were very creative with the pics haha. If you have any more questions or problems don't hesitate to ask. You can also open a thread in the Creators Help section if it's regarding your project. Good luck!